SKU: SC lea156. Categories: Earrings, Nautilus. 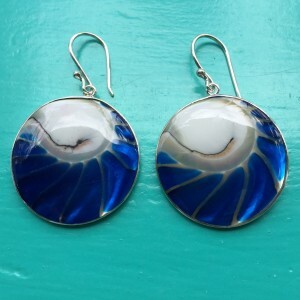 Tag: Nautilus Blue Round Earrings. 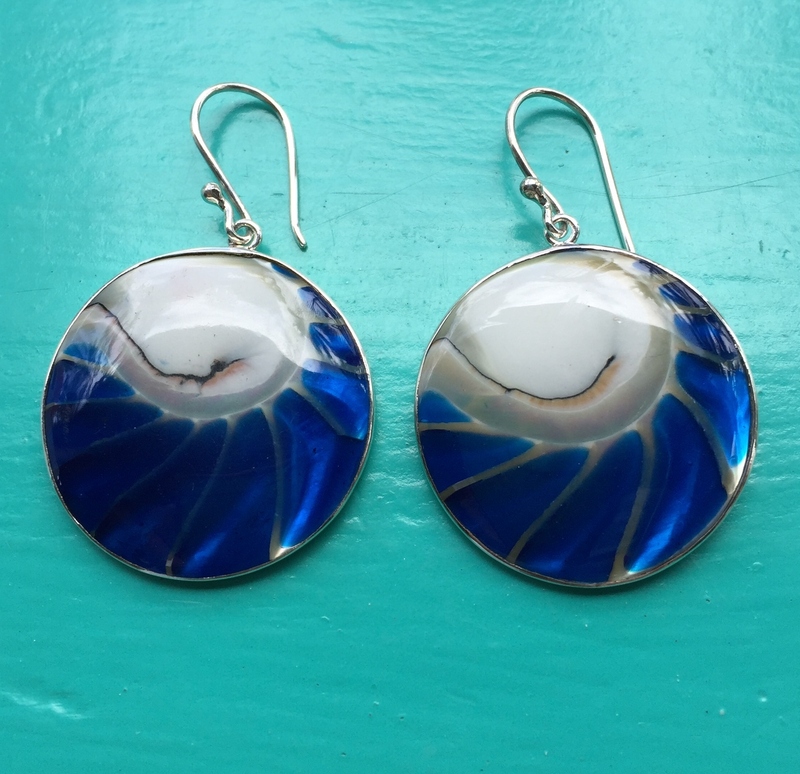 These Nautilus Round Two Sided Blue Earrings are gorgeous! 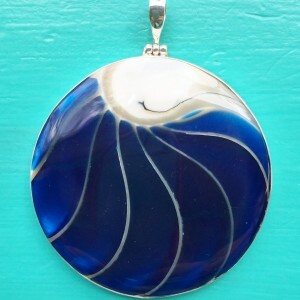 From our range of Nautilus Shell Jewellery, they are made using the nautilus shell. The chambers of the shell are then filled with a glassy blue resin . The backs of the earrings are just as stunning as the fronts! The pearlised cream, pale blue of the shell is on the reverse side. Team these up with the matching large (50mm) or small (28mm) pendant. Believe me, you are going to have friends and family remark on your stunning jewellery.